Relax for a week in a three-bedroom, Frank Lloyd Wright-inspired Central Oregon Coast beach house. 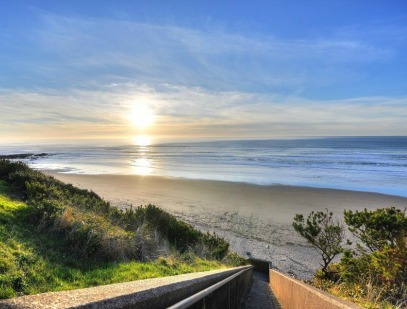 Situated three hours west of Portland, near Waldport, Ore., the house, surrounded by mountains, is a short walk to a sandy beach and close to hiking trails, restaurants, wineries and other attractions. Often you can watch whales, sea lions and other aquatic animals from the deck. Available Sept. 2017 through May 2018, excluding 12/20/17-1/12/18. Must be scheduled in advance. Package includes Southwest Airline miles worth $750. Southwest Miles donated by Chris Kuehl.